Faith has always been a place that is concerned about heresy. Communities of faith have been a place that teeter on the edge of heresy, struggling to condemn what is false while still discovering the things that are true. It is interesting that ideas branded heresy by one generation are often accepted as truth a generation or two later. Perhaps that will be the case with some of the “heretical” ideas we struggle with today. 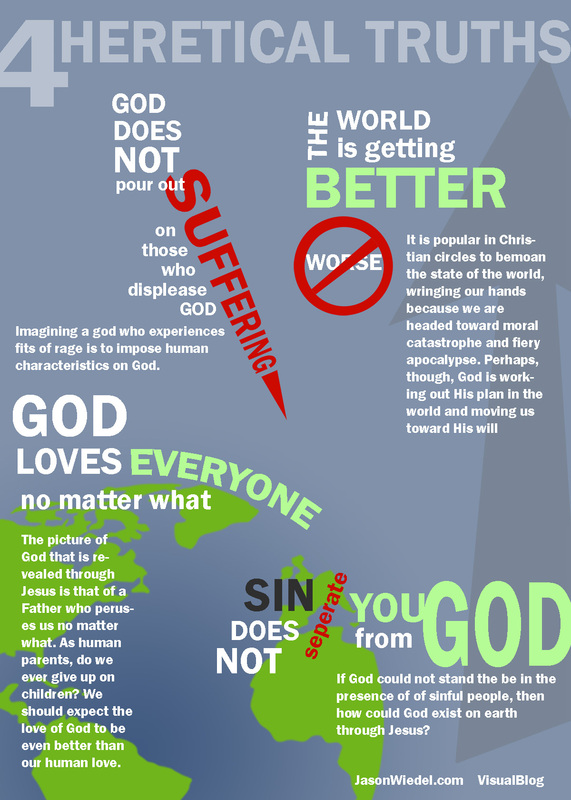 Here are a few of the heretical ideas I have come to embrace.